The Peak District is the spiritual home of the National Parks movement in Britain. It was the first area to be designated as a National Park, in 1951. Before that it had been the scene of a struggle for access to the upland moors, fought between ramblers from the northern industrial cities that surround the park and the gamekeepers employed by the great landowners who owned the grouse moors. Although the Peak District is often associated with Derbyshire, it actually falls into five counties. 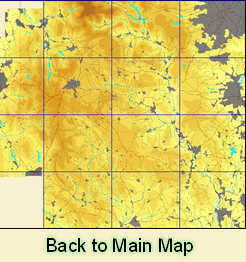 The northern part of the park falls into Lancashire and Yorkshire, the western flanks into Cheshire and the south west corner into Staffordshire. The Peak District is the southern end of the great Pennine chain, which continues on through the Yorkshire Dales (only 25 miles separate the northern border of the Peak District from the southern edge of the Dales. Despite the large number of people that flock to the peaks it is still possible to find solitude. I have been one of three people on top of Lose Hill, just north of Castleton, on a warm day in the Easter holidays, while within a mile hundreds of people were clambering up Mam Tor. The Peak District falls into two distinct areas, distinguished by the underlying rocks. In the Dark Peak millstone grit dominates, producing dramatic upland areas such as Kinder Scout or Bleaklow. In the White Peak limestone dominates, producing a rural plateau dominated by dry stone walls and deep valleys such as Dove Dale. Our first walk in the Peak District takes us along the ridge that separates the Vale of Edale from Castleton, and gives us fantastic views of Mam Tor and Kinder Scout. Our second walk in the Peaks takes us around the hills north of Winster. Our third walk visits Kinder Scout and crosses the Kinder Plateau from Edale.